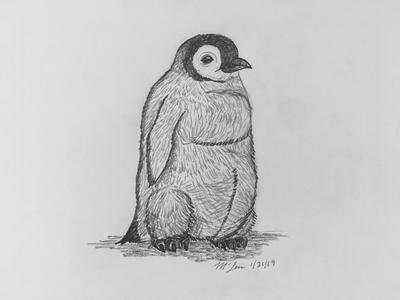 Previously submitted a penguin. Here is it’s baby! Thought this one would be a bit easier and quicker....but that proved not to be true! All of my sketches have been drawn from tutorials or reference drawings. I can’t wait until I’m able to look at real life and get it on paper, or better yet, draw from memory!